Offida, come and discover it! After having known more in detail some of the most traditional celebrations that, every year, enliven people from the Piceno and attract thousands of tourists from all over the world and not only from Italy, (we invite all those who had the possibility to be here in occasion of these festivals to write us their impressions about these events), it’s now time to discover more in detail some among the most characteristic towns of our territory, very small hilltop villages that have a great artistic, cultural, environmental and culinary heritage. The first town that we want to introduce you today is Offida, defined by many as “the pearl of Piceno” because, in a rather small territory, there is a breath-taking landscape between the hills and the sea, a place of millenarian history and culture and, moreover, the land of some of the best food and wine specialities in Italy. Surely, many of you, even those who have never visited Offida yet, will have heard of the famous Offida’s “bobbin lace”, a flagship of this town. But why is this lace so prestigious? We’ll explain it to you right away. 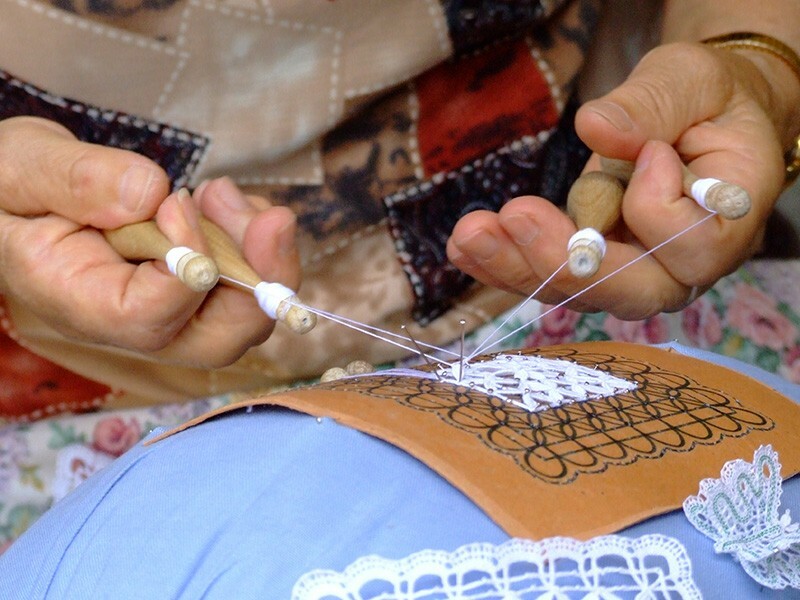 “Bobbin lace” is an ancient tradition that has been handed down for several centuries, from generation to generation. 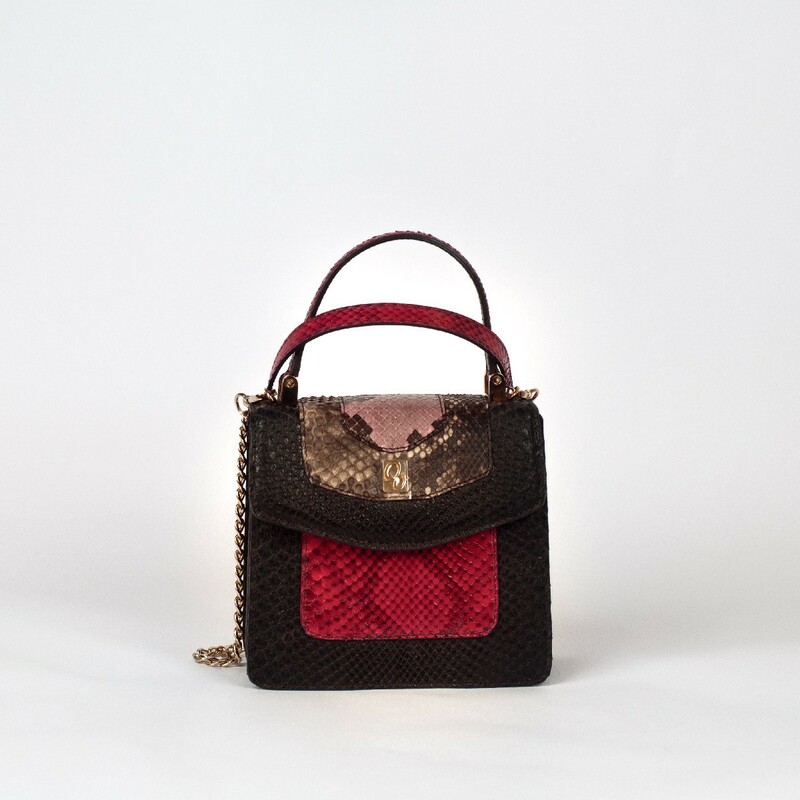 It is made entirely by hand by the “lace makers” (in Offida, you often see them outside their front door, engaging in their art while talking to their neighbour). These women move some wooden spindles in their hands, around which they have previously turned the thread of cotton embroidery, and create a lace following the drawing indicated on a sheet of paper appropriately pinned on the pillow (a sort of cushion of about 20/30 cm of diameter) supported by the “prebenda” (from the Latin prae habere), that is a three-legged support. The interweaving of these threads that create the lace is stopped, step by step, by some silver-plated brass pins. There are many shops along the main streets of Offida that sell these bobbin laces or linen items embellished by these laces. Some sellers also offer the possibility of having personalized works done on the spot but only if they are very small creations. Bobbin lace, in fact, requires not only skill, dexterity and mastery but also meticulousness and precision and, therefore, it takes a lot of time and patience. Offida has dedicated a special museum to Bobbin lace inside the nineteenth-century palace DE CASTELLOTTI PAGNANELLI. Here you can also find a dress entirely made in Bobbin lace, worn some years ago by the legendary top model Naomi Campbell. In the same building there is also the Museum of Popular Traditions where you can admire a faithful reconstruction of one of the ancient kitchens of the building, in addition to the reconstruction of ancient craft shops such as the ones of the tailor, the carpenter or the blacksmith, with the related tools of the trade , so as they were in that period, and the Archaeological Museum, founded in the 1800s, following the discovery of some excavations, by the archaeologist Guglielmo Allevi. Very impressive, inside the museum, is the Fundamental Unit of the Litica Workshop of the two necropolis of Offida and Spinetoli, in the Piceno territory. If you go to Offida, you can’t miss the beautiful Piazza del Popolo, characteristic for its triangular shape and enclosed among some 12th century castle walls. This is the place where the social, recreational and even historical activities of the Piceno village take on a life, such as the traditional Carnival party of Offida, preceded, on Friday, by “Lu Bov Fint”, a large evocative festival of the rural peasant tradition, particularly felt by all Offidans, young and old ones. For the occasion, all the people wear lu guazzaro ‘, a white tunic with red stripes or red fabric details that, in the past, was worn by farmers during the work in the fields not to get dirty. Some of them, in turn, carry an ox-puppet made of wood and iron( but with true tail and horns) around the main streets of the centre in a sort of bullfighting, with sudden changes of direction and rushing. At the end of the evening, this ox is symbolically killed by the “peasants – figures”. The horns are removed and hung on the column of the town Hall and the animal-puppet, devoid of its horns, is paraded along the streets of Offida as a symbol of victory of the peasant people on the animal. The same “guazzarò” is newly worn by people in Offida on Shrove Tuesday or another very important historical re-enactment: the Vlurd. All the various congregations of Offida parade in the square with their typical costumes carrying on their shoulders bundles of reeds stuffed with straw. By nightfall, reeds are lit and made to parade throughout the historic centre and finally placed in the square to give life to a big bonfire around which people dance, sing and … naturally, drink red wine coming from the Offida hills. During Carnival period, there are also numerous masked balls and dance evenings at one of the most beautiful and characteristic theatres in Italy: the Teatro del Serpente Aureo, eighteenth-century theatre with 3 orders of 17 boxes and gallery divided into 15 parts. The name of this theatre derives from a legend to which people here in Offida are very close to: the legend of a golden serpent that was once seen wandering the main street of the village and was said to heal the wounds. But no one has ever actually seen this snake. 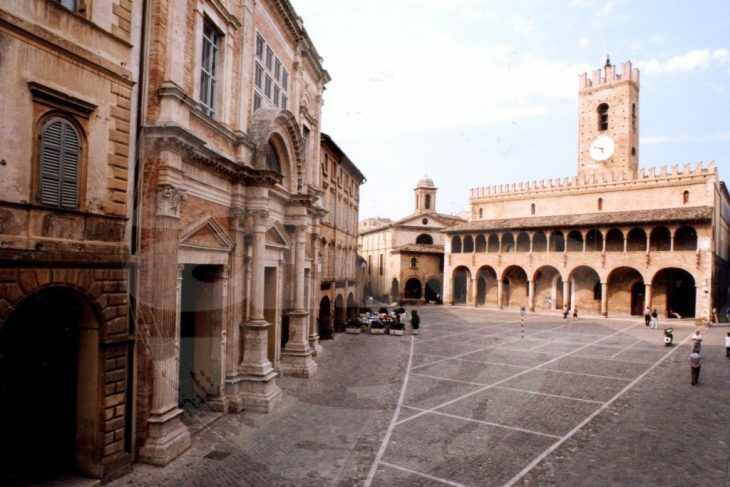 The theatre and the square, however, are not the only historical and architectural beauties you can see in Offida. If you decide to come to this small village, don’t forget to visit the church of Santa Maria della Rocca, a very particular structure not only for its style, for its many frescoes and its crypt, but also for its location. The church, in fact, rises above a rocky outcrop from which you dominate a truly idyllic landscape. Offida certainly offers many beauties to admire, from the stylistic and architectural ones to the landscape. But it’s not all! What else is there yet to discover of this charming village of Piceno? Well, certainly something that will trigger your taste buds and olfactory! Offida is also famous for its food and wine specialties. 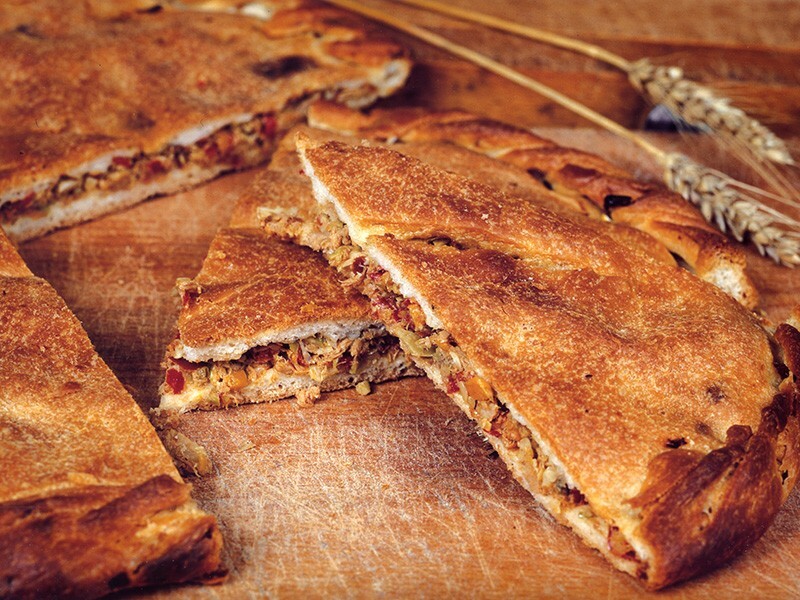 One of its most typical dishes is the chichi ripieno, a tasty focaccia stuffed with tuna, anchovies, artichokes and peppers. The other specialty are the Funghetti dolci di Offida (Offida sweet mushrooms), simple biscuits made with water, sugar, flour and anisette. You can taste them alone or accompanied by a cup of coffee or a glass of Passerina Passito (typical sweet wine produced in Offida) . It is said that these sweets were born out of need around the fourteenth century because women, having nothing more to cook and no wood to burn the fire, were obliged to assemble together the only ingredients that they had still available at the time, creating, in this way, these sweets that then, over time , would have become a flagship of Offida. Don’t care if it is a sweet or a savoury specialty: the dish must always be accompanied by the right wine and Offida boasts the production of 3 different wines, all included in the denomination of controlled and guaranteed origin (DOCG). We are talking about Rosso, Pecorino and Passerina, the latter available also in its Passito variant (liqueur wine perfect to combine with desserts). We won’t tell you anything else; we leave you the excitement and the interest to discover all by yourself many other aspects of this small village of Piceno but we are sure that once visited, you will immediately fall in love with this little pearl of art, culture, history and…good food! Are you curious to know more closely another flagship of our beautiful Piceno? Don’t miss then our next article! This article was written by Cristina for the Blog of Gleni Boutique, but the photos and some of the information come from the official website of TURISMOFFIDA. This entry was posted in Traditions and customs Made in Italy on 10/19/2018 by Serena.